Within the legal industry, it’s essential to remain compliant for your own personal reputation, for the firm, your clients and also to uphold industry standards. Whether that’s in regards to your systems and processes, the training you undertake or even managing client or team expectations through taking full accountability, compliance can take many different forms. However, all elements of compliance remain of the utmost importance and should be a key consideration throughout the course of your career. 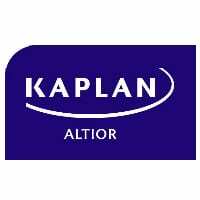 Jody Tranter, head of Kaplan Altior, delves into compliance and explains why it’s so important in a high risk industry. The legal industry is continuously changing and evolving to meet cultural and modern-day requirements, with the most recent example being GDPR, the impact of which we’re still seeing today. It’s therefore important that legal professionals are aware of any new legislation as soon as possible to fully understand the market in order to best serve their clients. Developing an enhanced knowledge base early can also help with speed and flexibility of service, helping you to showcase a competitive edge. 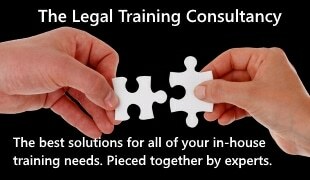 Lawyers also have the responsibility to meet the Solicitors Regulation Authority (SRA) requirements of compliance through continuous professional development, whether that’s enhancing personal skills, technical or professional techniques. Although the traditional model of the competency statement with a strict October 31 deadline is no longer applicable, since 2016, the SRA has encouraged ongoing learning, regardless of seniority. Although not enforced in the same manner, effective training should be considered an important element to help lawyers stay compliant and knowledgeable in this high risk industry. Plus, this training can bring added value to a firm especially when enhancing key skills or addressing issues such as diversity to encourage a broader workforce and culture. Similar to the law itself, client expectations can also be fluid and you may find that this can change depending upon the given situation. However, as a lawyer it’s crucial that you understand these expectations and communicate effectively and safely in a way that’s suitable for each case. Inc magazine has demonstrated the importance of communication skills in professional environments and reported that 73.4% of employers stated that they want candidates with strong written communication skills. This is because it’s an essential element of day to day processes and helps to build positive client relationships for enhanced compliance and reduced risk. Solicitors also have the responsibility to review industry trends to understand any relevant changes, including those highlighted by the SRA. The SRA recently updated its Risk Outlook for 2018/2019, with equality and diversity included as key areas for consideration. Research tells us that there’s still room for improvement in this matter. For example, in 2017, it was reported that while women make up 48% of all lawyers in law firms, in the largest firms, just 29% of partners are female, despite the fact that we’re reaching 100 years of women operating within the sector in 2019. Socio-economic factors should also be a key consideration when addressing diversity, with research showing that those from state school backgrounds are less likely to be retained by their firm following a training contract. Therefore, having a wider understanding of key issues such as this and implementing positive change in your firm is not only the right thing to do but can also enhance compliance by addressing any risks that your firm is currently facing. The legal industry can certainly be a high risk minefield as lawyers are operating with high levels of responsibility on a daily basis. For this reason, compliance should be considered everyone’s responsibility, and should not be regarded as the sole responsibility of the appointed compliance officer. 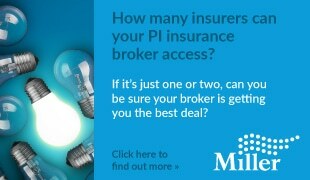 So as legal professionals, certain procedures need to be implemented to ensure the highest levels of compliance. This includes having the correct training in place to remain competent, as well as systems and processes to remain compliant and adhere to regulations. Implementing a detailed plan or structure such as this is an incredibly valuable tool to help build a safe and longstanding career.